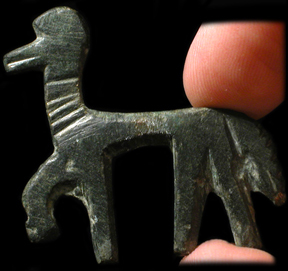 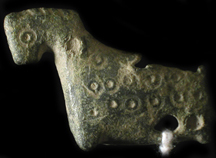 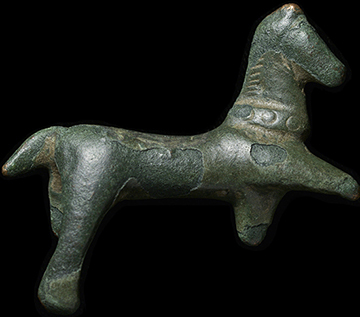 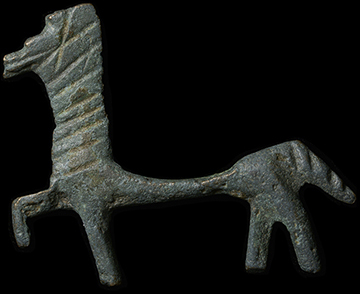 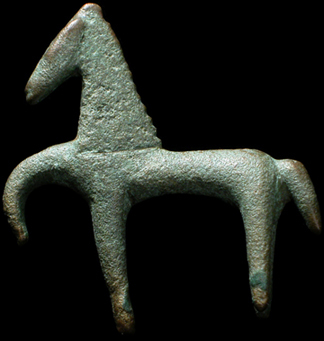 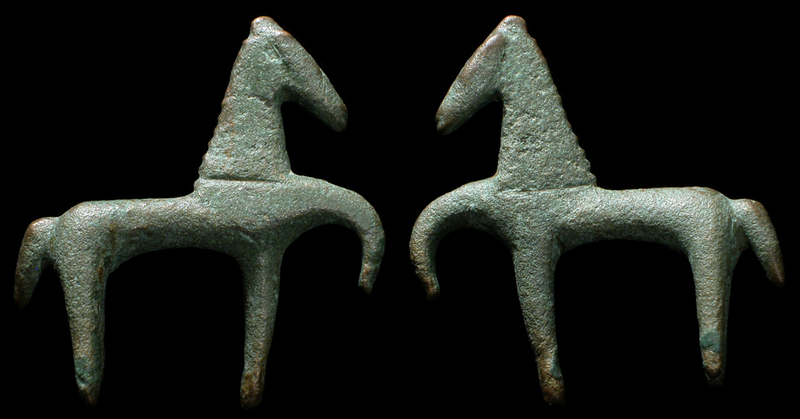 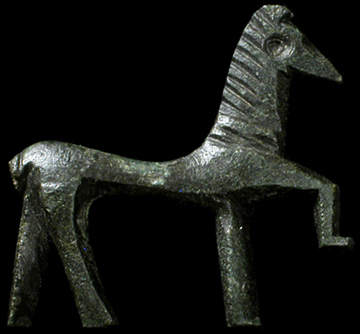 Ancient Celtic bronze horse. 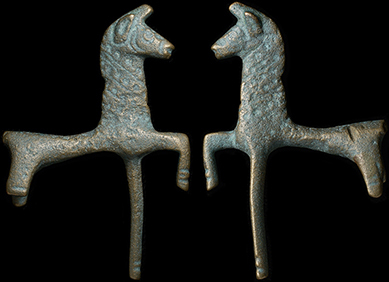 200 - 50 BC. 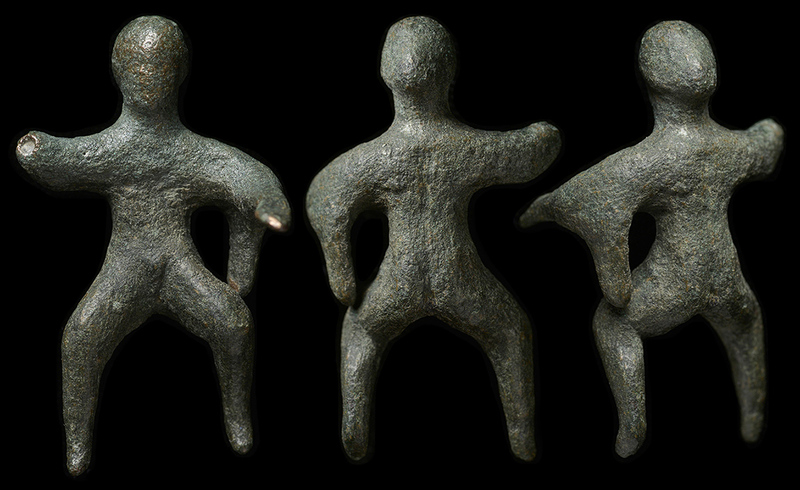 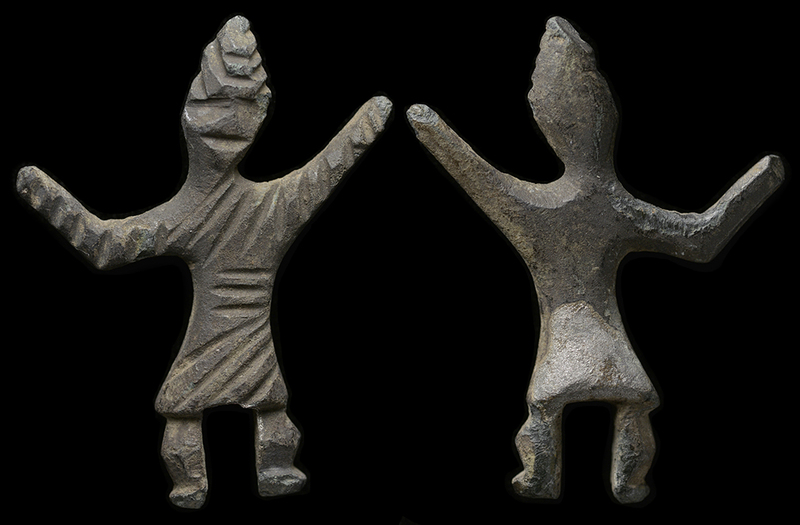 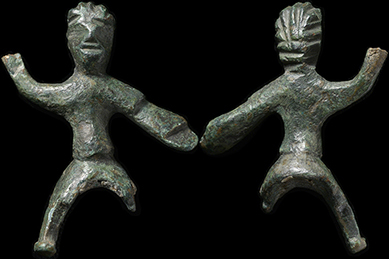 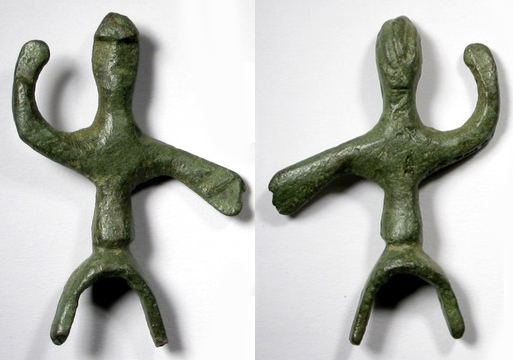 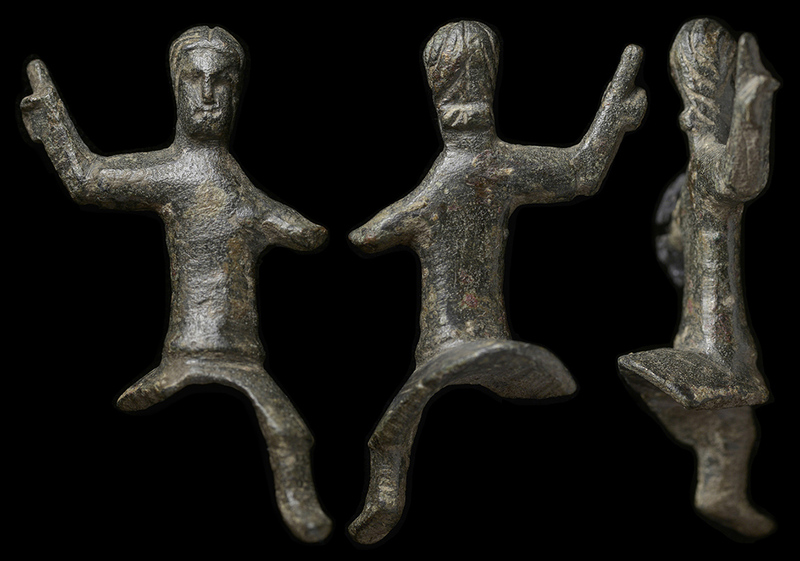 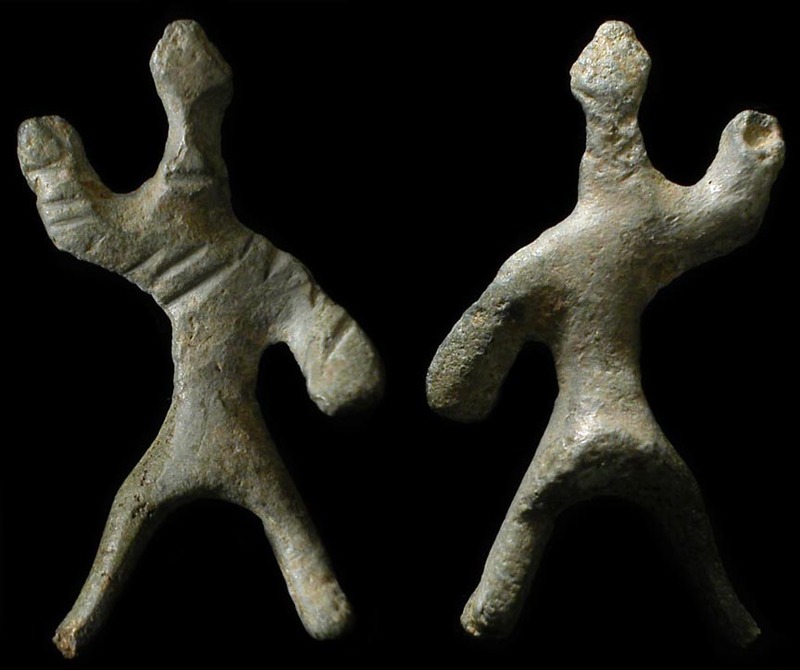 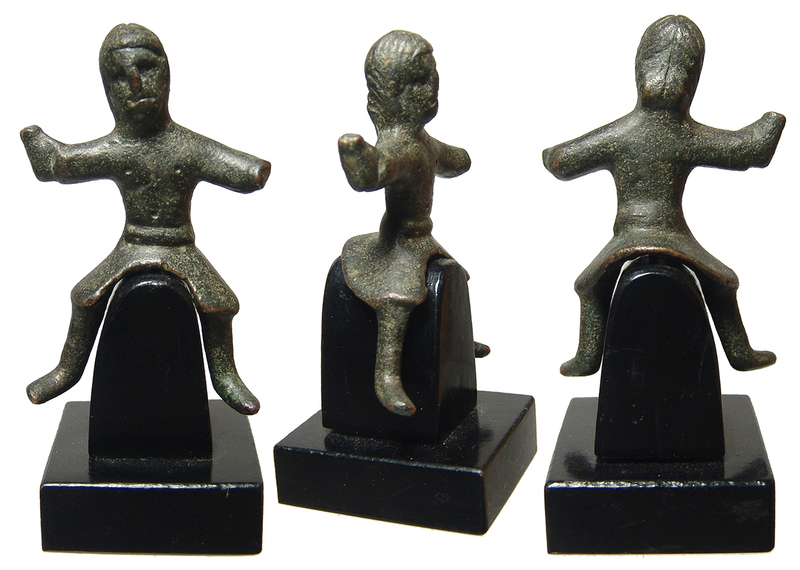 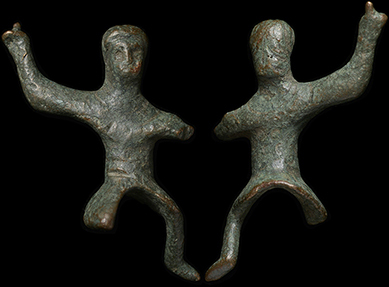 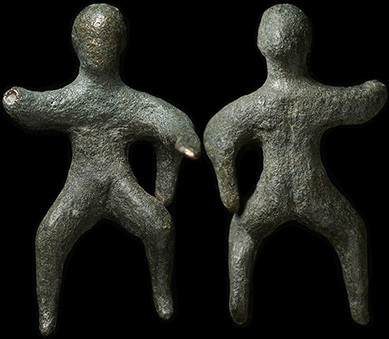 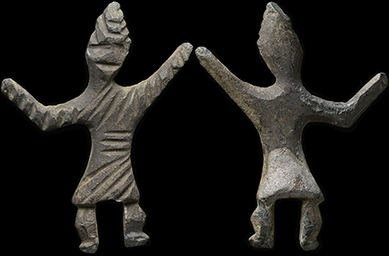 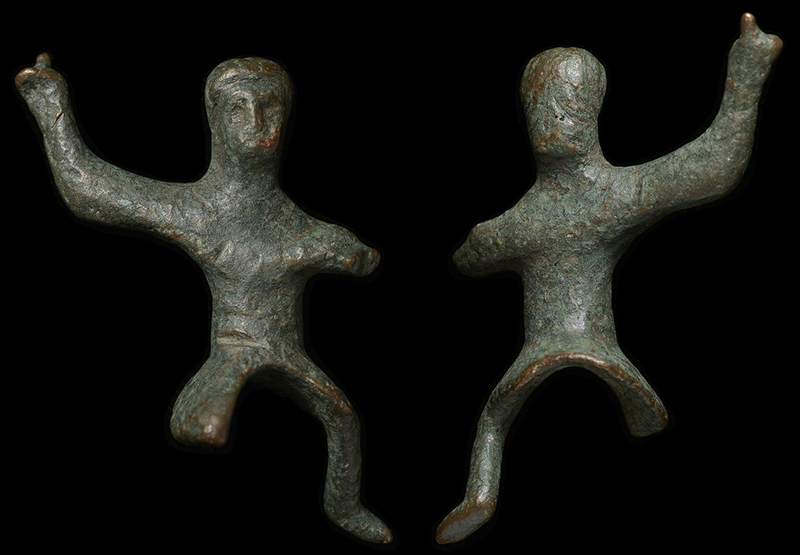 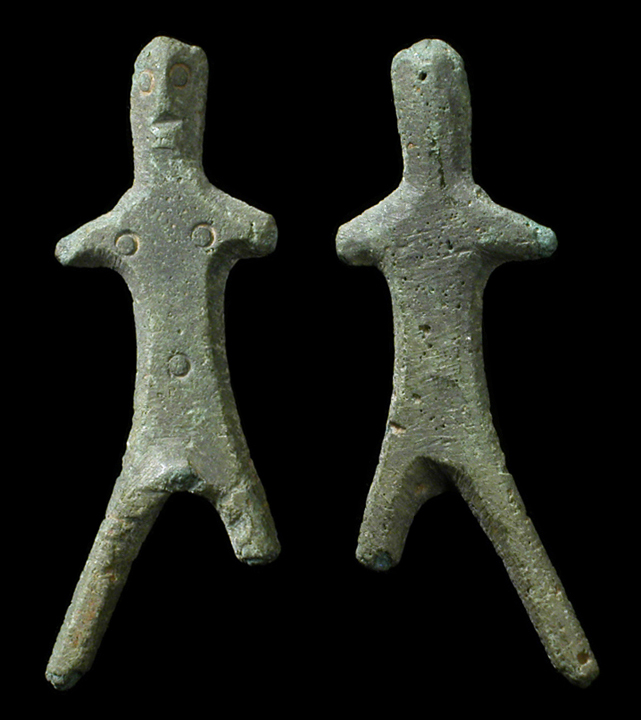 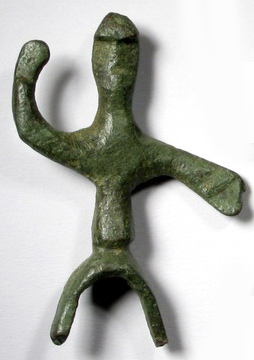 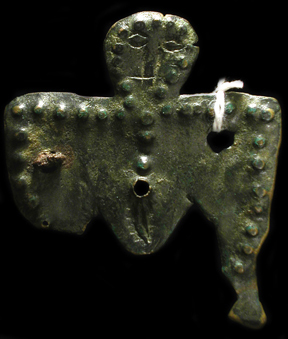 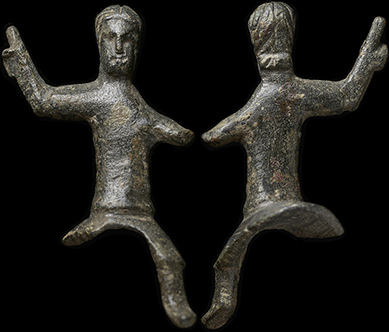 Celtic bronze figure, 200 - 50 BC. 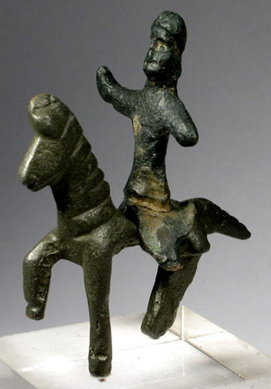 Horseman, with right arm upraised. 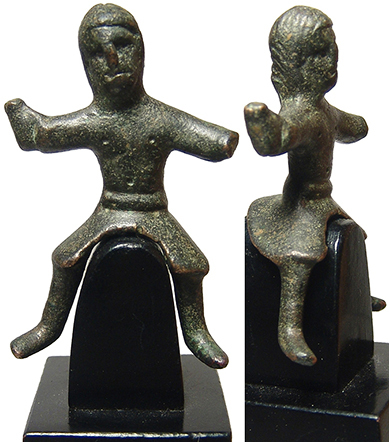 Measures 45 mm tall. 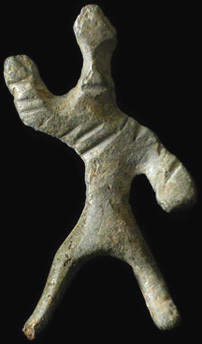 Interesting! 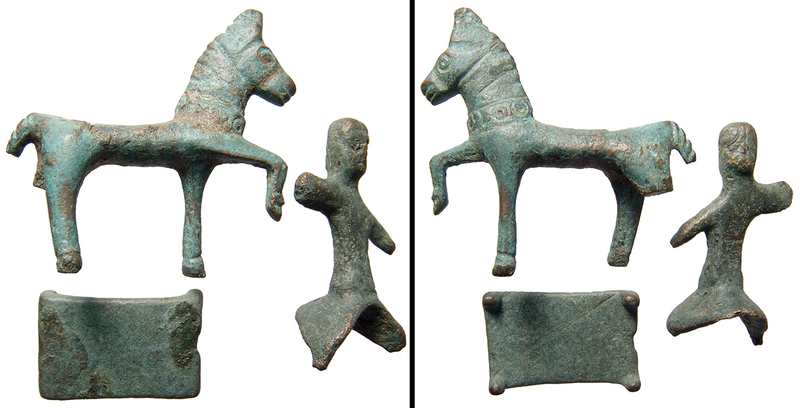 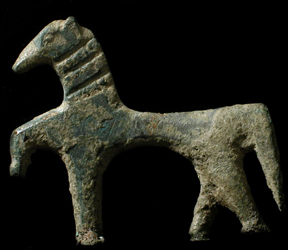 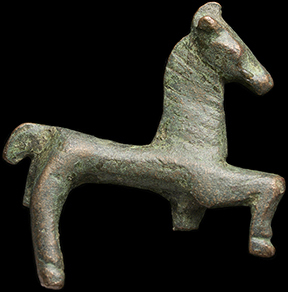 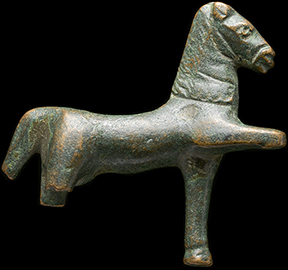 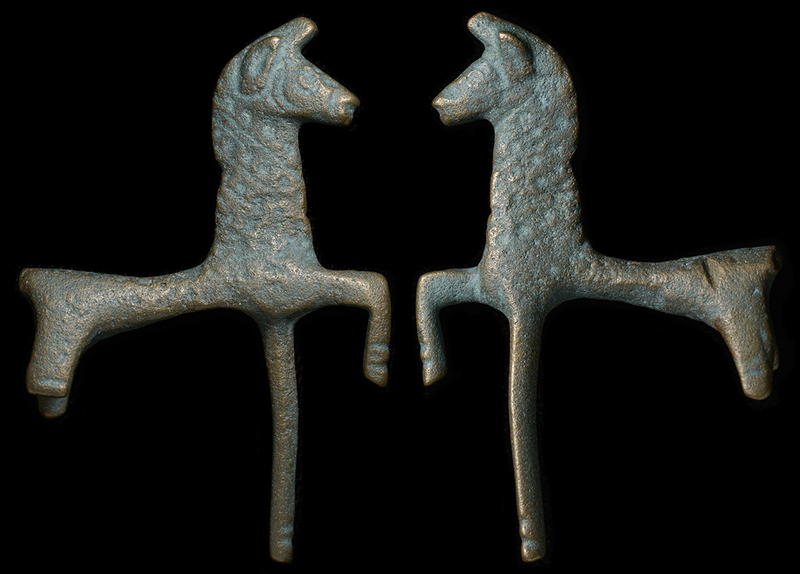 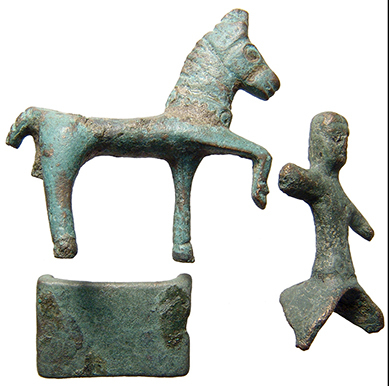 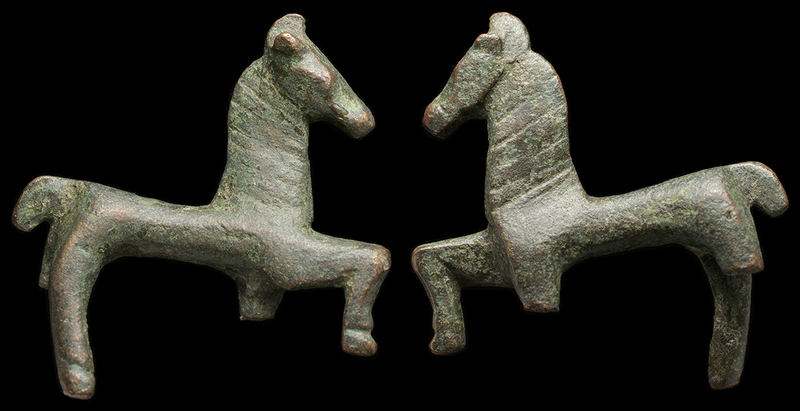 Ancient Celtic bronze horse. 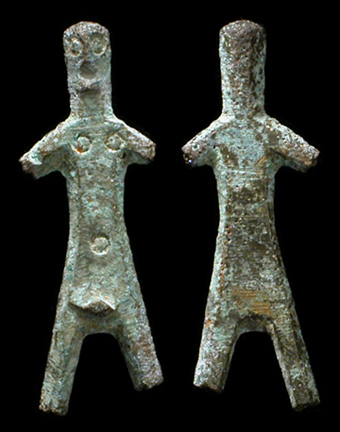 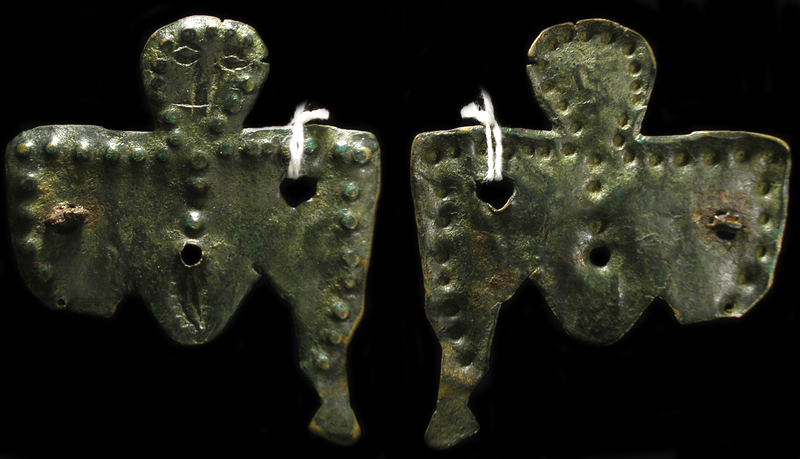 400-100 BC. 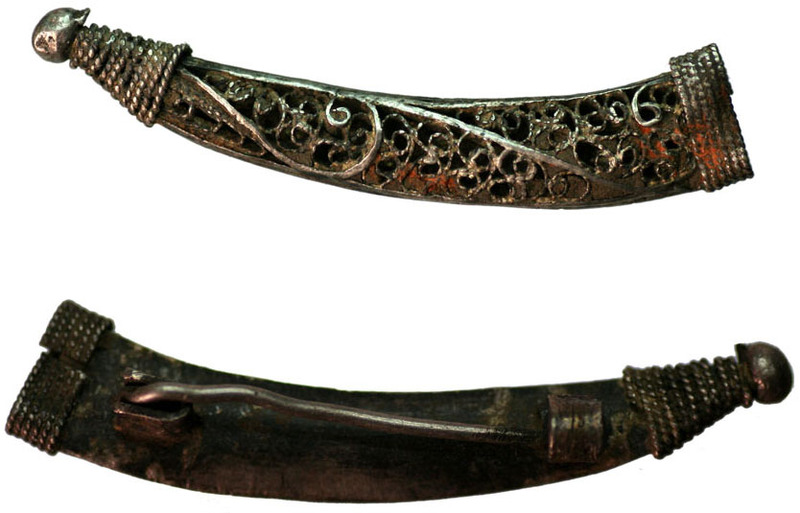 From a rudimentary lock mechanism.